 Here is a step by step guide (approved by us-the students on a budget team and our expert friends, yes you guessed it right…also students on a budget). So it is up to you to take our guide and a few fancy activities if you prefer to do so or just use it as an inspiration for your next trip. 1. Time of travel. Travel on a shoulder season. High season may vary depending on your destination of choice. We recommend doing some research in advance and finding out when the destination receives the least amount of tourists. This comes with a number of advantages, such as having the whole town to explore to yourself without bumping into tourists all the time. Furthermore, accommodation providers and many tourist attractions lower their prices to attract more tourists during off season. 2. Choosing a destination. We highly recommend to go for countries that might not sound “super touristy”. You will be surprised by how many amazing places are out there waiting to be discovered. 3. Booking your flight. Check out offers of different providers and have a look into price comparison websites to find the best offer. Do not limit your options-check out airports in neighboring countries as well as set your search filter for an entire month instead of choosing exact dates. If you are taking a train you might want to check out different routes. Sometimes you can make stops in between and see even more than you planned. 4. Accommodation. We love Airbnb! This is such an amazing service for so many reasons. Firstly, it is much more comfortable than a hotel room or a hostel bed. You usually have access to kitchen where you can make your own food and of course save money but also not compromise on the comfort of your home. Secondly, there are a couple of options to choose from (private room, entire property etc) depending on your budget and privacy preferences. Last but not least, you get to meet a local host who will most probably give you the best insider tips on what to do at your destination. If you are new to Airbnb and would like to get a discount code on your first trip make sure to use this link. 5. Getting around. Do your research on public transportations system in your country/city of destination. Compare prices for daily tickets, taxis etc. Consider renting a car for more flexibility (going to beaches, driving to the nearest mountain chain etc.). We recommend a price comparison website before placing a final booking. Additionally we recommend looking into car sharing or check providers such as Blablacar / Fahrgemeinschaft / Mitfahren. 6. Once at the destination you want to make the most of your time and see as much as possible. For this reason, we recommend free walking tours. These types of tours are a really cool way to explore the highlights of the city, meet new people and have lots of fun. These tours are for free but tipping the guide is of course advisable. This is a great way to avoid having to pay a fortune for other organized tours. If you are not a big fan of group tours, we recommend downloading an audioguide on your smart phone and explore the city on your own pace. These were just our tips on how to plan a budget-friendly holiday. We hope you enjoyed reading our post and are looking forward to hear your tips and experiences. Let us know if you found the list helpful and if you think you will use it one day J Have a great vacation (whenever it is) and make sure to stay on a budget!